Why Buy Tires at Our Porsche Fremont Tire Center? On-Site Certified Technicians: Each of our service technicians has completed a specialized qualification program designed by Porsche. This means they’re equipped to not only work on your vehicle, but to help you make important auto care decisions as well. 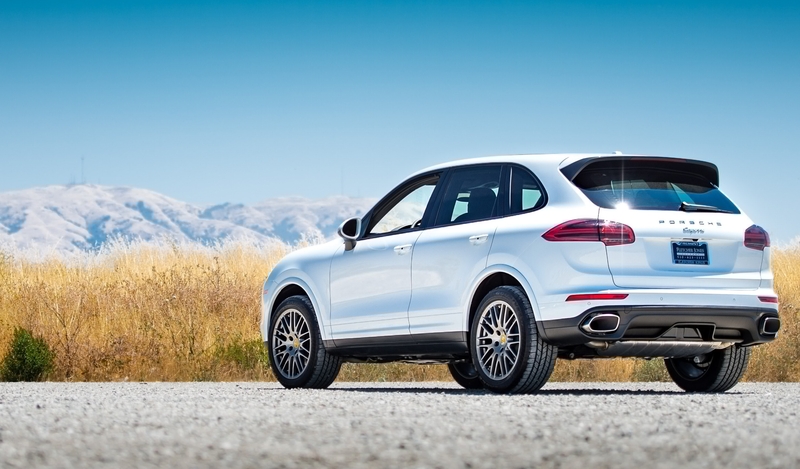 Our certified technicians are also qualified to perform Porsche tire repairs and maintenance, such as tire balance, tire alignment, and tire replacements for when your Porsche Cayenne tires are in need of maintenance. We Supply N-Specific Tires: As a high-performance brand, Porsche fashions its vehicles with specially designed tires. To ensure your vehicle meets Porsche performance and safety standards, visit us for N-Specific tires! Push power, speed, and agility to the limit with a new set of Porsche tires. Fremont Porsche owners needn’t look any further than our dealership for N-Specific tires. If you’re new to the Porsche family, you might be wondering, “What makes these tires so special?” Look below to find out! Quality: Porsche subjects N-Specific tires to exhaustive road testing, and works with top-brand tire manufacturers to perfect tire designs for each model. Safety: Porsche tires are a crucial part of your vehicle’s safety system, and low-quality products can compromise safety standards. Traction: When you slip behind the wheel of a Porsche, you expect superior launch control and traction—and that’s just what N-Specific tires help deliver. Reliability: Only N-Specific tires are guaranteed capable of accommodating the power of a Porsche vehicle, as well as adverse driving conditions, on a regular basis. If you’re looking for tire service near Palo Alto, Porsche Fremont has you covered! Tire Inspection: Regular inspections help reveal small tire problems before they worsen. What’s more, you can service your vehicle’s tires, as well as other mechanical systems, right here under our roof! Wheel Alignment: Your vehicle may require suspension alignment if you notice a “pulling” sensation as you drive. To prevent uneven tire wear, bring your Porsche to us for four-wheel computerized alignment service for the front and rear suspension. *Tire Rotation: Keeping up with regular tire rotation, as well as inspection, is perhaps the best way to prevent uneven tire wear and reduced fuel-efficiency. Tire Balancing: Wear and tear causes tires to lose balance, which leads to vehicle vibration and weak treads. To keep your tires in good shape, we’ll computer-balance each wheel. Porsche vehicles display world-class engineering, so it only makes sense to have them serviced by the best. Our Master-Certified Porsche technicians know these models inside and out.